Many people think they need to buy plastic bins, boxes and gadgets to organize their possessions. 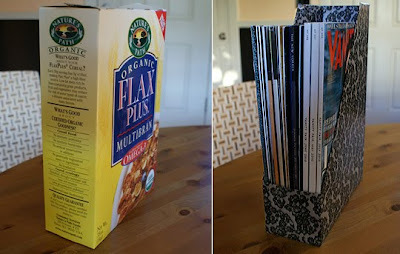 If you're on a budget or want to reduce your environmental foot print, there are creative organizers you can make from things sitting in your cupboard or recycling bin. 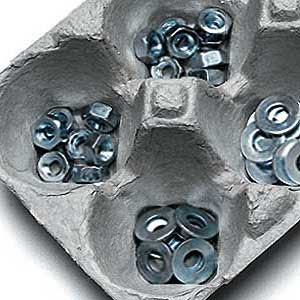 An egg carton is a ready made sorter for small objects. 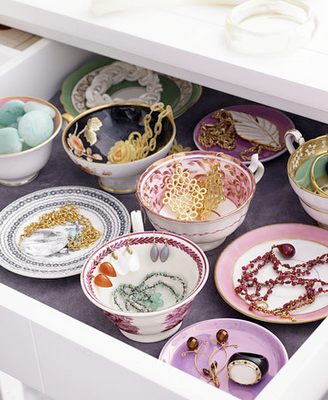 Repurpose vintage cups and saucers as beautiful jewelry organizers. Mounted tin cans are the perfect solution for kitchen utensils. Convert a cereal box into a magazine holder with pretty paper. Instructions at Apartment Therapy. 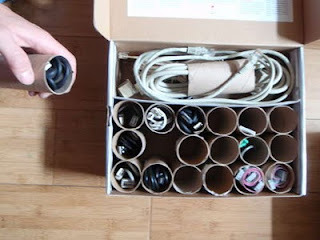 Make your own drawer dividers with cardboard. More information at Apartment Therapy. 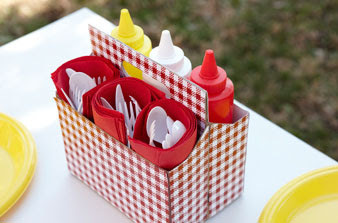 Cover a 6 pack holder and reuse as a picnic caddy. Good ideas you have here. This will help you become more productive. I'm sure this'll be helpful for my office in Ayala Tower One. Thanks for sharing!